As a senior account executive at Magna IV, Lisa Wooten is responsible for turning her clients’ creative ideas into reality. Lisa goes above and beyond—finding innovative technologies, printing techniques and materials—to ensure every client project she works on is a success. Originally from the newspaper and commercial graphics industry, Lisa Wooten has been at Magna IV for nearly 40 years. She currently serves as senior account executive, specializing in print and marketing projects for national restaurant chains. Lisa’s clients include Dave & Buster’s, Fox & Hound, Champps, Gold’s Gym, Snap-On Equipment and others. During her nearly four decades with Magna IV, Lisa has worn many hats—from designer to account executive. Her extensive experience in every facet of the design, print and production process—along with her strong attention to detail and organizational skills—have made Lisa a go-to resource not only for her current and prospective clients, but also her fellow coworkers at Magna IV. Because of her long-standing relationships with businesses like Dave & Buster’s and Snap-On Equipment, clients feel confident bringing Lisa cutting-edge ideas or designs and leaving it up to her to translate them into high-quality products. Take, for instance, Lisa and the Magna IV’s team efforts to execute Dave and Buster’s promotional danglers. Lisa is an active volunteer in her community, previously serving on the board of directors for Arkansas Children’s Hospital and as president of its Committee for the Future. 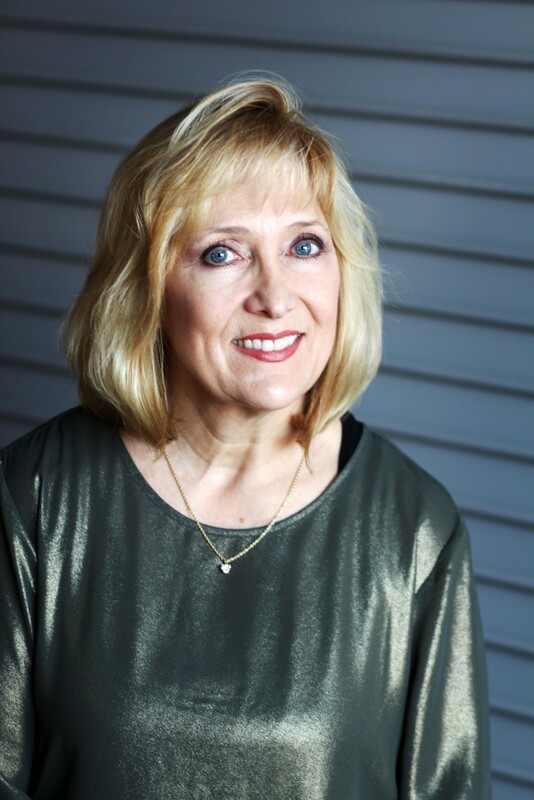 In addition, she has served as president of the International Association of Business Communicators in Arkansas and board member of the Arkansas Arthritis Foundation. Although a native Texan, Lisa is a staunch Arkansas Razorback fan. She is also the proud mother of two children, Missie and Tyler. 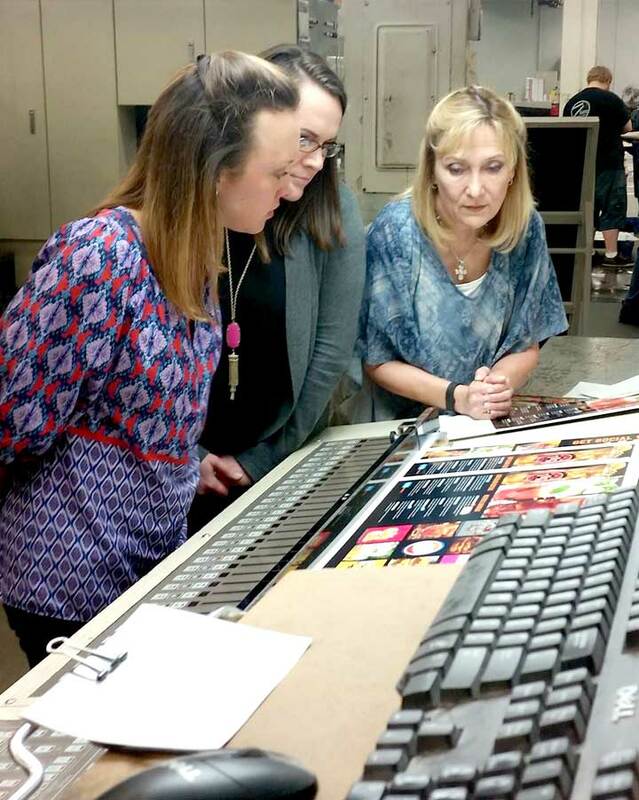 Lisa Wooten on a press check with clients Alex Purdy and Lisa Case from Dave and Buster’s. Lisa insists that things are done the right way on behalf of her clients. CARTI Foundation truly values the partnership with Magna IV as they have provided us with marketing services and support for our organization for years. Steve Schilling always makes us feel like we are his top priority. When we are in need of promotional or print materials we always choose Magna IV.